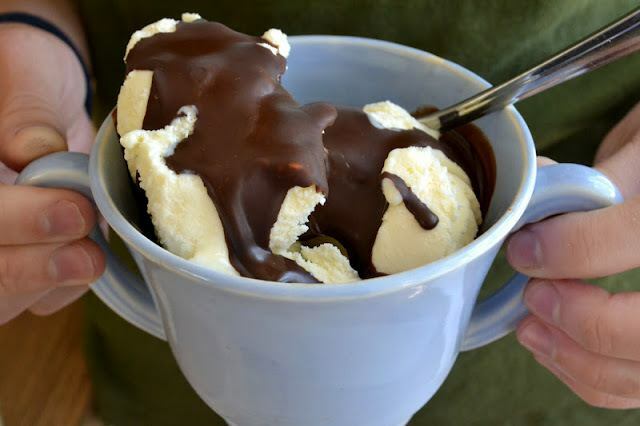 Put the chocolate and the oil in a glass measuring cup and microwave for about 30 seconds. Take out and stir. Microwave in short 15 second bursts, stirring in between, until the chocolate is almost all melted. Keep stirring until all the lumps are gone. Pour into a glass jar and store on the counter. The mixture will stay liquid at room temperature in the warmer months, and may solidify during cooler weather. No problem, just microwave it briefly before serving.